Nashville, TN (April 1, 2019) Singer/songwriter Marty Brown kicks off a four-episode guest hosting run on Country Classics TV show today, with new shows set to broadcast on April 8, April 15 and April 22. 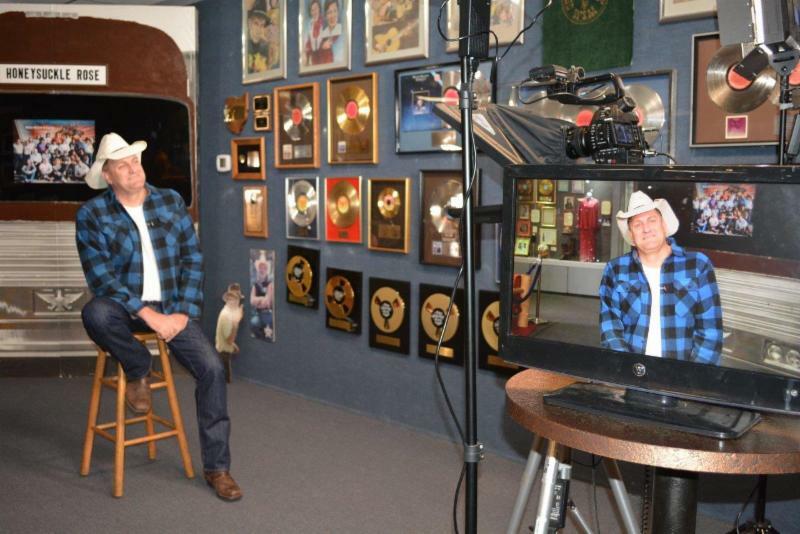 The weekly half-hour program is filmed at the Willie Nelson & Friends Museum in Nashville and features interviews and music videos from classic Country artists like George Strait, Willie Nelson, Pam Tillis, George Jones, Tanya Tucker and others. Country Classics airs domestically on Heartland TV and The Family Channel, and internationally on Country TV (NZ), Keep It Country (UK) and Cayman 27 (Cayman Islands). Check your local listings for air dates and times. "These tapings were a blast," notes Brown. "Some cool people have hosted before, including my buddies Larry Stewart of Restless Heart, Wade Hayes, Aaron Tippin and Lorrie Morgan." With a new single, "Umbrella Lovers," making waves at Country radio and a new album (AMERICAN HIGHWAY/Plowboy Records) set for release soon, Marty is focused on touring. 4/19 - HEARTLAND TV / 650 AM WSM "Coffee, Country & Cody"
5/17 - WSMV Ch. 4, "Today in Nashville"
Born in Maceo, Kentucky, Brown first rose to fame as an artist on MCA Records in the 1990s, but he is also known as the songwriter behind mega-hits for Tracy Byrd ("I'm From The Country"), Brooks & Dunn ("It Ain't Me If It Ain't You"), and Trace Adkins ("When I Stop Loving You"). After a hiatus, Brown returned to the national stage with a show-stopping performance on America's Got Talent in 2013. His touching rendition of Bob Dylan's "Make You Feel My Love" went viral, generating over 11 MILLION views on YouTube. The rest, as they say, is history. His Top 10 AGT finish convinced Marty to step back into the spotlight and since then he has performed at the historic Ryman Auditorium, returned to the Grand Ole Opry, and signed autographs at CMA Music Fest.